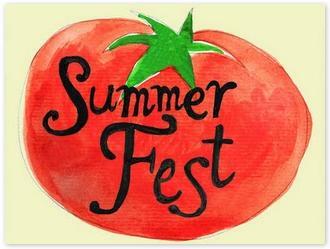 Summer Fest is here and the celebration has begun! First it was Eggplant and now, Peaches! Be sure to follow the fun on Twitter with the hashtag #cookingwith and share your favorite use of fresh, gorgeous peaches! I have been dreaming of peaches for a while now, remembering the delicious peaches I had on Martha’s Vineyard last summer. Juicy, fragrant peaches are the sign of summer in the US; not so much here in the Dominican Republic, but I was lucky enough to find some sweet, precious ones in the grocery store! Cheesecake. It’s a blank canvas for you to go wild on, so I decided to infuse the peach flavor into the custard, as well as serve them alongside both grilled and as a sauce. Water bath. Most custards are baked in a water bath to insulate the edges of it from over baking before the center gets a chance to set. Cracker Crust. Actually a ground cookie crust. You can substitute the melted butter for your favorite oil: coconut, olive, sunflower. Oven Temperature. Some of you might find 350F a little high. This all depends on your oven, so start at 300 if you’re curious and check your progress. You can always pump it up more as you go! Preheat oven to 350 degrees. Place a water bath in the middle rack of the oven. Beat cream cheese until smooth and add egg, egg yolk, sugar, 1/2 cup peach puree and vanilla. Sift flour into the mixture and blend until incorporated. Pour batter onto crumb crust and place in warmed water bath. Bake for about an hour, until done. Turn off oven and let sit inside oven for 1-2 hours. Remove and let cool completely overnight. To Serve: spoon peach puree onto plate and place slice of cheesecake on top; decorate with grilled peach slices and a dollop of whipped cream. Enjoy! With so many peach ideas, what do YOU want to make with them? How did I miss this, Nella ! What an AMAZING Peach Cheesecake. Ok, I have just turned into the Peach Princess. Printing this and will bake this ASAP ! Thanks for sharing, Amiga! That’s the most beautiful photograph I’ve seen today. It looks so moist and delicious and fruity. You are so clever. i have only had regular cheesecake. the addition of peaches in a cheesecake sounds incredible! Sounds and looks wonderful! Also, the peach panna cotta sounds interesting! Thanks for all of those links!! I love that you added puree to the cheesecake. The texture looks lovely; I might have thought that it’d make it a little wet. But no, and hooray for peach cheesecake! Pretty!! Peaches are definitely a sign of summer to me. With a cheesecake like this, I would like it to be summer all year long, please! Looks delicious! Nellie, this is a great series and I though we are still on the subject of bananas and mangoes I am twi steos right behind you!! lol This cheesecake’s consistency is fab love it with the peaches pairing too. gorgeous! This may be my favorite post if yours to date! I love peaches and also cheesecake! I’ve never had them together though so I’ll have to give this a try! is that a whipped cream canelle I spy?! this looks heavenly, Nel! Love, love, love cheesecake! l like the grilled peaches on top with a puree. just lovely. Your peaches and cream cheesecaske looks really refreshing. No doubt it is fabulous. Peaches in the southeast are in season (or maybe just bit passed). We enjoyed fresh peach ice cream. Peaches are a wonderful summer fruit. This is beautiful! I haven’t done anything with peaches yet this summer, but now I am craving them. Great recipe thanks for sharing! Looks so delicious. Fruit is healthy so that means we can eat as much as we want. Right! This looks and sounds unbelievable! I sure wish I lived around the corner cause I love desserts! 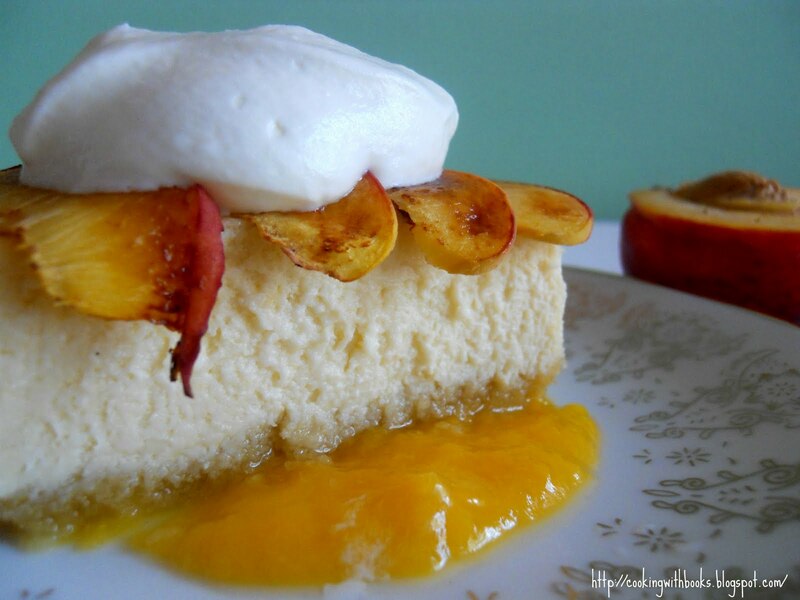 i love how you added grilled peach slices over this cheesecake and how its sitting in peach puree. oh gosh, this is like heaven!! how can anyone resist this?! love love your cheesecake, thanks for sharing! !